The red, white and blue shoes will be worn by 1,100 Olympians and Paralympians at opening and closing ceremonies. LEWISTON – Team USA is going to be sporting red, white and blue boat shoes made in Maine at the summer Olympics Games in Rio de Janeiro. The Sun Journal reported that team uniform maker Ralph Lauren has contracted with Rancourt & Co. in Lewiston to produce the casual, leather shoes that athletes will wear at the opening and closing ceremonies. 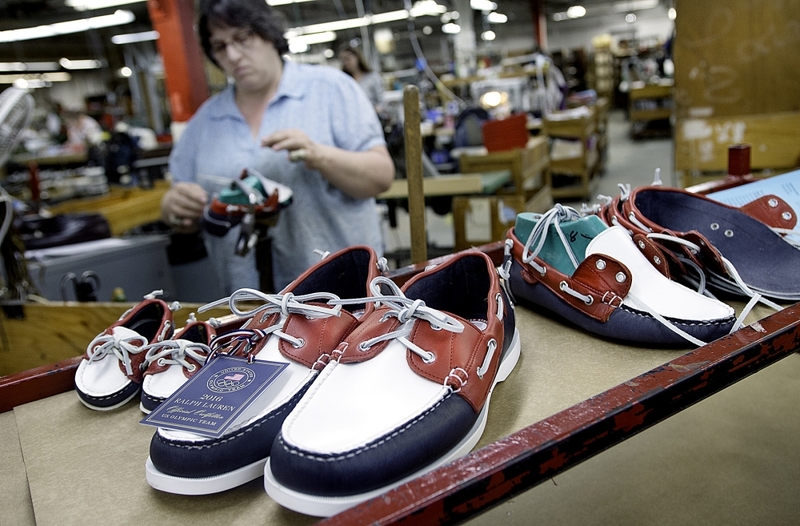 Maine shoe manufacturing is a shadow of what it once was after brands like Dexter, Sebago, Cole Haan and G.H. Bass moved manufacturing elsewhere. But some Maine shoe companies have survived. Rancourt, with 65 employees, makes private label shoes for Ralph Lauren. The red, white and blue shoes will be worn by 1,100 Olympians and Paralympians. They’re also available to the public for $350 in Ralph Lauren stores.